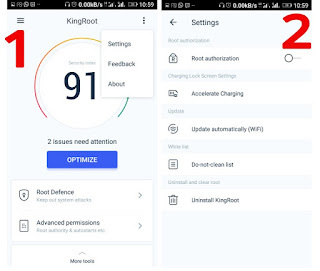 Hello guys and welcome to this post on how to root and unroot any Android phone with Kingroot app in a matter of minutes. And without PC. What Is Rooting Of An Android Device? In case you don't already know, rooting of an Android device simply means getting root access/previlage. That is, the process that allows users of smartphone running the android operating system to gain control over their device and bypass any limitations placed on the device by the manufacturers, phone carriers etc. This can also be reffered to as jail breaking in iPhones (iOS). Or hacking in nokia S60 also known as symbian phones. Rooting can provide many advantages to your user experience. Unlock your devices full potential to unlimited possibilities and many more. 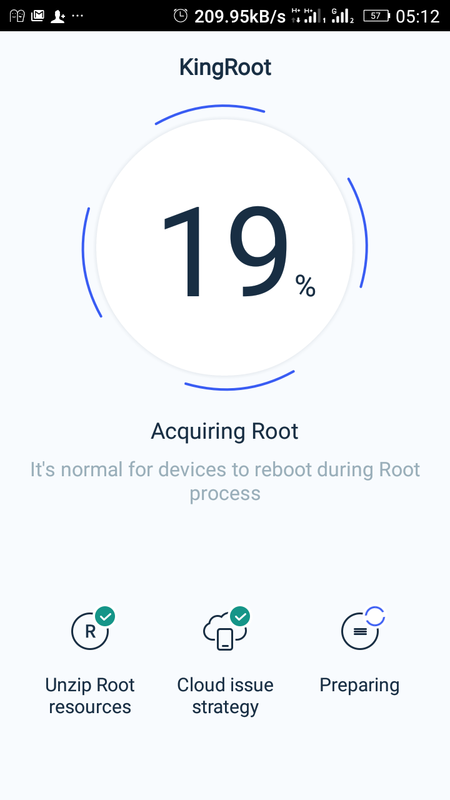 We all have different reason for wanting to root our android device for which when done, might actually want to unroot it. To take the phone back to its initial state and probably, have the warranty back - since rooting voids phone warranty. 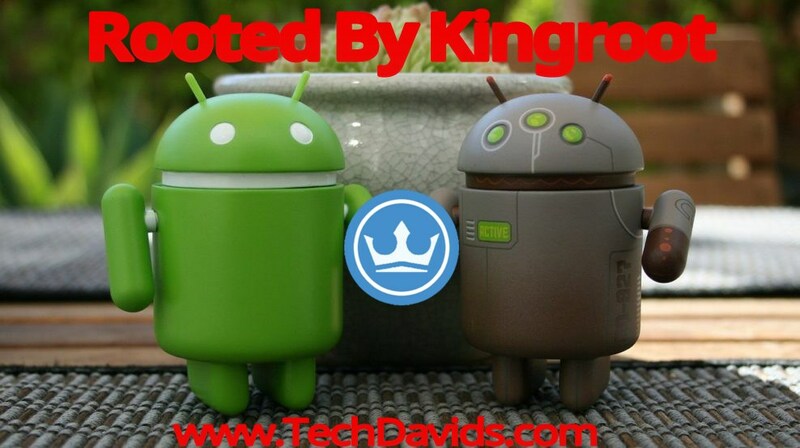 Kingroot app is the app to vouch for in terms of rooting of any Android device. It undergoes frequent updates with which more features are added to it and makes it able to root any Android device. Its so good that even if it can't root your phone, all you have to do is update to the latest Kingroot version and your stubborn phone will bow. What am about to share with you today, I have tested and found working perfectly in rooting and unroofing of Android phones like the once listed below. 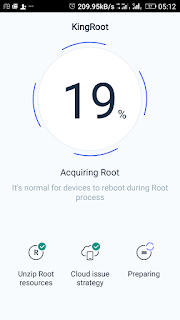 Practically, Kingroot can root just about any Android device. However, it won't bite to include those I've personally rooted with it. And a few others that am pretty sure it can root as well. Mind you, if your phone is not listed above, it doesn't mean Kingroot won't do the job. It only means I didn't include it to the list. All you have to do is try. Because rooting and unrooting with kingroot wont harm your phone - its 100% safe. 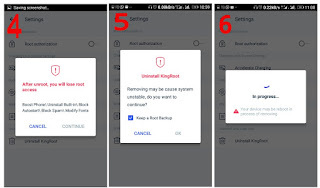 To root with Kingroot is very simple. And like I said earlier, its also safe. Meaning you won't be in the risk of bricking your phone. To do this, follow the directions below. ==>1. Start by downloading and installing the latest version of Kingroot app from their official website. ==>2. After that, make sure your is connected to the internet with strong signal. ==>3. Open Kingroot app and allow to run and load your phone details. ==>4. Click on root and the process will begin. Showing you the progress level in percentage. ==>5. At this point, your phone might reboot a number of times or make some unusual behaviors - don't panic. ==>6. After rooting is complete, a success message will pop out. Reboot your phone and that's all. 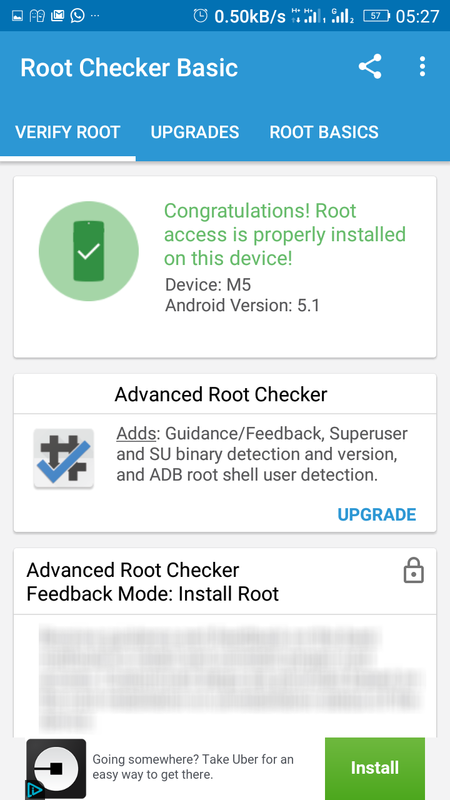 You can download root checker to verify the root. 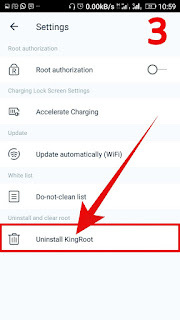 To unroot any Android device with Kingroot is very simple. But the phone must have been rooted with kingroot in other to unroot with it. ==>1. Locate and open Kingroot app on your phone from the App drawer. ==>2. After opening, click on the option button at the top right corner and select settings. ==>3. From there, scroll down to Uninstall Kingroot. ==>4. 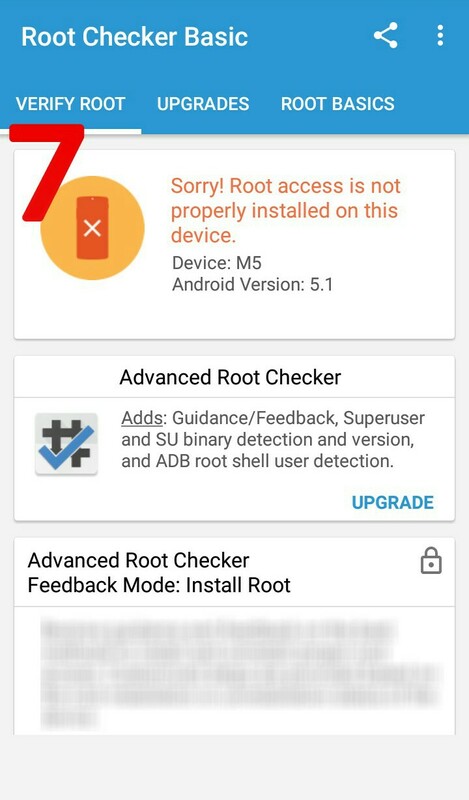 A pop up will appear saying "After unroot, you will loose root access". Just click on continue and allow to unroot. ==>5. Another page will pop up with a box asking for root back up. Just untick it. ==>6. A progress shape will come out. Just allow to do its thing. ==>7. When done, your phone will reboot. 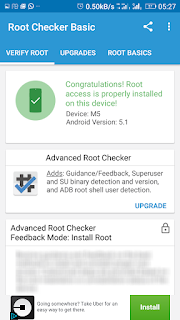 You can then download root checker to check and be sure that the root access has been removed. That's all. You can see the set of images below for guidance. 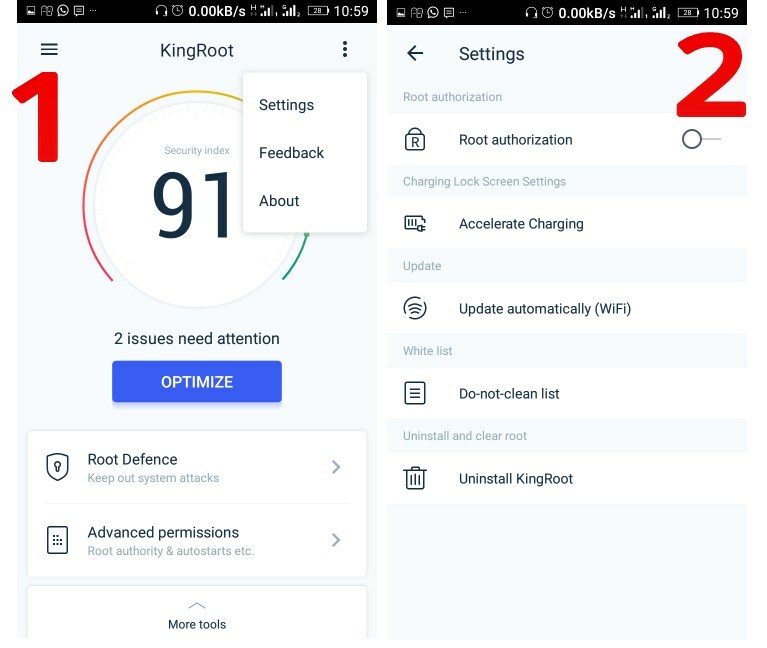 Apart from rooting your Android phone with one click, and with PC, Kingroot can be used for quite a number of other things which might as well be part of the reason majority choose to root with Kingroot. With that, you have seen how easy it is to root your android device. And you've also seen how am able to root and unroot any android device using the this awesome app called Kingroot. 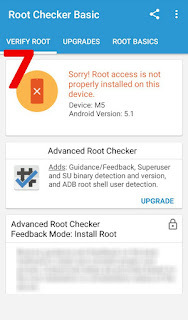 So if you have a phone that has proven to be very stubborn and refuse to root given all methods, this method might just be what it hasn't seen. If you find this post helpful, pls share it with friends to help them. Then for questions, kindly use the comment box below. We reply in seconds.